Much like the Bridled Tern is adrift in the Gulf Stream, I feel alone in my outrageous birding abilities. Being the world’s leading birder isn’t as easy as it sounds. Well, yes, finding and identifying birds is really, really easy, but there are other aspects that are troublesome. For one, both birders and the general public alike view me as some kind of ambassador of all birders…a natural thing to do I suppose, but I don’t think that’s accurate. For one, no one else can know what it is like to identify heavily worn Empidonax flycatchers by smell at 50 meters. No one else can tell an escaped bird vs. a wild vagrant just by making eye contact with a bird. No one else thinks the notion that “gulls are hard to identify” is as humorous (truly borderline pathetic) as I do. No one else has that gift…that power. It’s hard for me to relate to people who have to go to dusty museums and examine study skins for hours on end to convince themselves they can tell apart birds…no one with a sound mind would subject themselves to that, right? And so, if I am so disconnected from my people’s struggles, what kind of ambassador does that make me? Not that the media attention and the public worship is all that bad (although I am sick of those TMZ people), but I do not kid myself. I just can’t enjoy it like I should. It would be nice if people like David Sibley could take up more of the spotlight, but let’s face it…the miniscule percentage of birders that could wear the necessary public rockstar persona are not the ones leading tour groups or writing field guides. 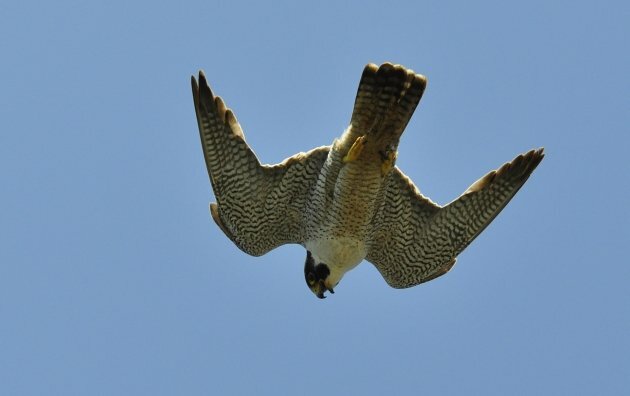 Peregrine Falcons are looked up to by many. I know what it’s like, Peregrine Falcon…but it just doesn’t feel right. The question I ask you is, who should we look up to? Yes there is Roger, there is John James, there is Dawson…those pioneers are right to be seen as heroes. But what about now? What about the living? Who can bear the weight of the birding world on their shoulders? There are a few certain types of people that birders consistently have respect for: their mentors (as they should), people with big lists (admit it), people who are highly-skilled (duh), and perhaps the most prevalent but least discussed…people who are well-socialized. So who does Birder #1 admire? A lot of people actually, for a lot of different reasons. I like to see enthusiasm. I like the birders who realize the absurdity that is birding and birding culture. I like birders who can admit to making mistakes. I like birders who can still appreciate common birds without being robin-strokers. I like birders who can appreciate the fantastic unlikelihood of a good vagrant. I like birders who daydream about birding. I like birders who are opinionated about different kinds of bourbon, not just binoculars. I like those who try to help birds beyond entering eBird checklists. Strange ramblings? Perhaps. I will get to the point…you my friend, can be the legend that we all look up to. Bulging size (and girth) of your lists or bizarrely intimate knowledge of F2 Slaty-backed X Glaucous-winged Gulls is not necessary. You can find that bird for someone that is their trigger. You can be the one who finds the next Rufous-necked Wood-Rail. You can be the one who blows your fortune to protect bird habitat. You can be the one that proves to the skeptics that not all birders live for just petty semantics. You could convince your grandmother to stop letting her cat outside. There are a thousand ways you could be a winning birder…you can be the ambassador for all of us. And so I challenge you to walk through the darkness of mediocrity and into the blazing fire of greatness…I have seen The Light, and I highly recommend it for everyone. You don’t need to know what this is to be a shining example to us all…doesn’t hurt though! 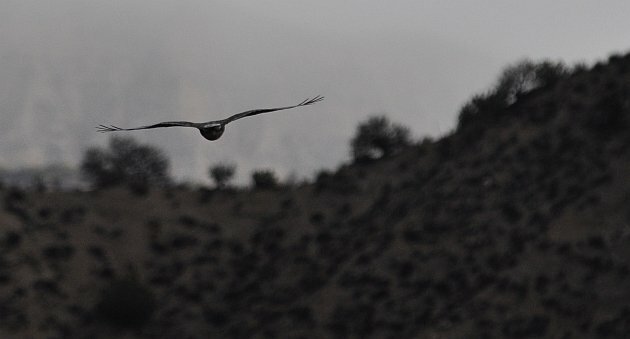 If you guessed Rough-legged Hawk, you are wrong (it’s Buteo regalis). Also, “robin stroker” is new to me, and brilliant. Also, you have way more in common with Alec Baldwin than I realized. Getting started after 45% of my life was already over (provided a birding accident doesn’t take me before my expected time), I realize I’ll never be the guy with insane skill and experience. But I also realize anyone can be an ambassador (look at the recently departed Shirley Temple). I figure as long as I’m clear that I am fully aware that I don’t know what the hell I’m talking about, I can keep writing with enthusiasm about birds and birding and conservation and earn some points for my Global Ranking that way. As a self-recognized regional expert in all things locally avian, I am sympathetic to the problem of Mr. Jive. Sure, I am narrowly admired in my little niche (the various amorous vocalizations of the Greater Roadrunner), and I have what could only be called a cult following among college level biology students. But he problem I have is that my beloved wife still views me as nothing more than a means for delivering trash to curbs. Nowhere do I see the admiration in her eyes that I so routinely see in my own reflection. I vow that I will one view the bird that will make her realize how lucky she is.